For over 51 years, 70 year old elephant ‘Gajraj’ belonging to the Royal family of Aundh, in the Satara district of Maharashtra performed his duties as a temple elephant where local devotees saw him as an icon of worship as he played an important role in festivities and temple processions. Last week, the saga of this magnificent tusker took a dramatic turn for the better! 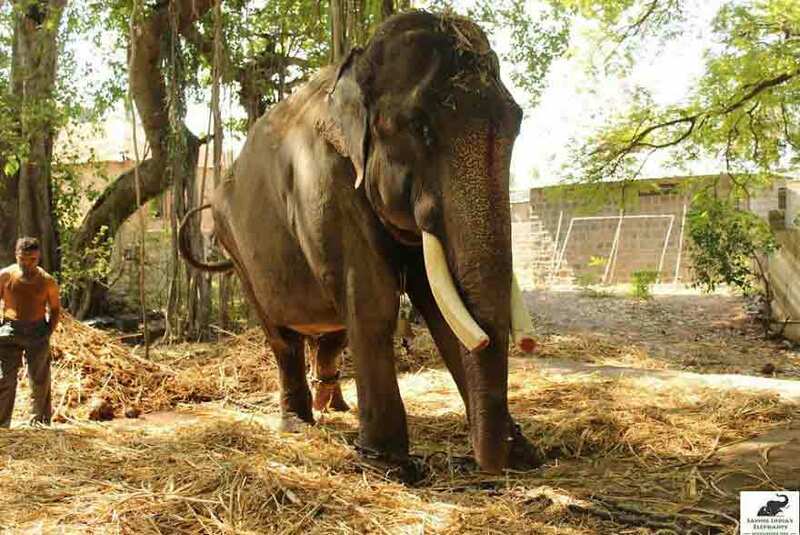 Gajraj whose name translates to “King of Elephants’ finally retired from his duties and was entrusted to wildlife rescue and rehabilitation NGO, Wildlife SOS for his long term medical treatment and lifetime care. 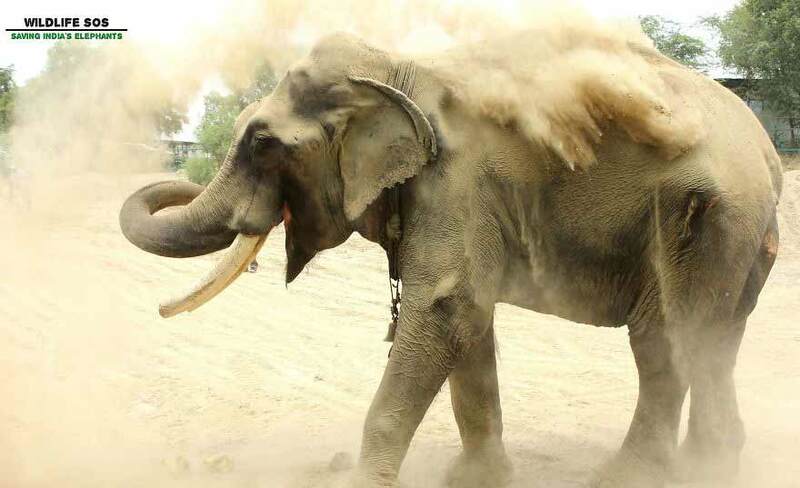 Gajraj’s plight was brought to attention by a PETA campaign and as concerned elephant lovers from around the world learned about Gajraj’s medical condition, thousands of requests for Wildlife SOS to intervene and help him poured in. 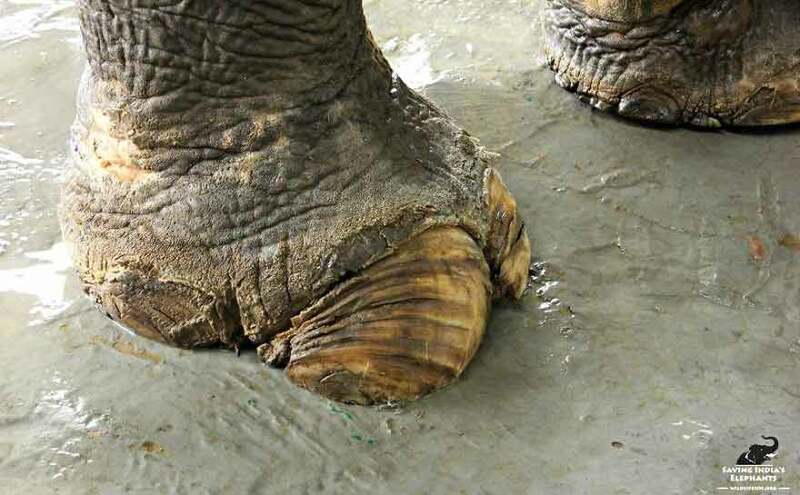 A medical examination had revealed that Gajraj required medical attention for his toenail abscess which could spread to the bone in addition to the hip abscesses while his foot pads suffered severe degeneration. This made him a candidate for geriatric life time care at Wildlife SOS Elephant Conservation & Care Center in Mathura, Uttar Pradesh. The royal family of Aundh gave him a warm farewell. The local villagers however become very emotional and hostile as Gajraj was getting ready to leave, gathering in large numbers with things taking an ugly twist as the mob became unruly. 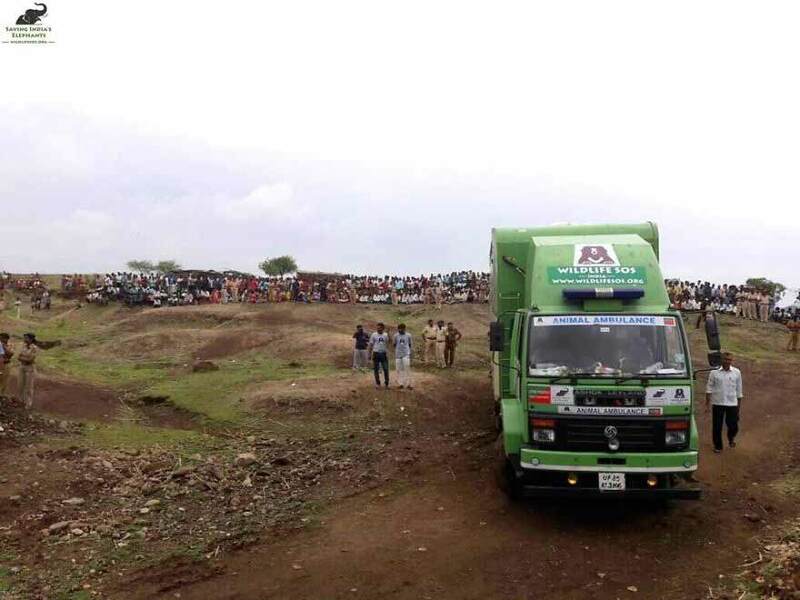 With each minute the atmosphere became gripped with tension and a large police force was deployed to ensure protection for the Wildlife SOS rescue team. Eventually the elephant was placed inside the Elephant Ambulance – currently India’s only specially designed elephant ambulance. He then embarked on a 1500 kilometre journey along with expert veterinarians, paramedics, elephant caretakers and rescue team to his new home. As the Elephant Ambulance arrived at the Wildlife SOS Elephant Conservation and Care Center, Gajraj first gingerly tested the ground with the trunk before gently placing his foot out of the vehicle after which he walked with no chains on his feet for the first time, accompanied by compassionate elephant keepers and veterinarians to his new home, where he will live without any fear, neither will he be forced to work at a temple or at ceremonies ever again! Gajraj can now be seen spending his day leisurely munching on fresh fruits and green fodder while splashing about in his personal pool and taking dust baths. The veterinarians have started treating him with daily medicated foot soaks and draining his abscesses, while providing him a special diet along with nutritional supplements to help regain his strength.